Welwyn Street Market heralds the opening of the Welwyn Festival. Church Street is closed an thronged with people. A good chance to meet residents in a town cut off from the local cycle network by the A1(M). With fine weather forecast we risked not using the normal gazebo and squeezed in between the Cats Protection League and the Circle Français. Hats and lots of sun cream were vital. The possibility of making Church Street into a road with contraflow cycling southwards, to make it easier for residents to reach the shops. We handed out lots of copies of our campaigning tube map for Welwyn which illustrates the isolation of the village from the off road cycle routes in Welwyn Garden City. Several residents promised that these would be passed on to local councillors to encourage a response. 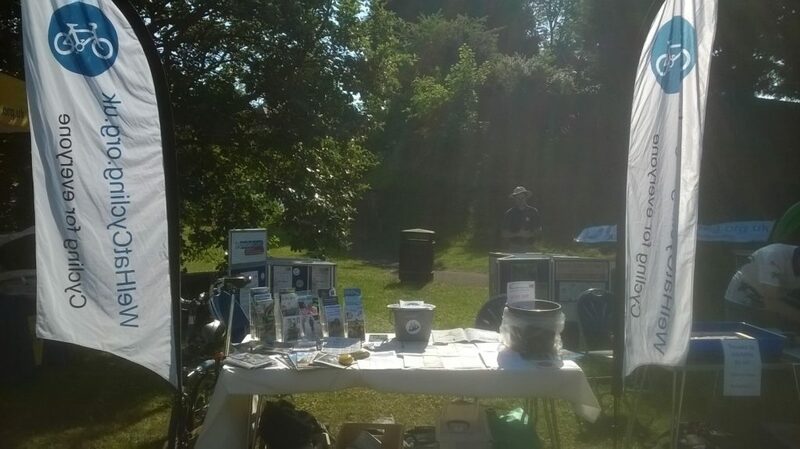 As usual at these events, there was high demand for the maps of local cycle routes and we ran out of copies of the Ayot Greenway route. The news that our Sunday Social Rides programme involved stopping for cake and shorter distances went down well too. 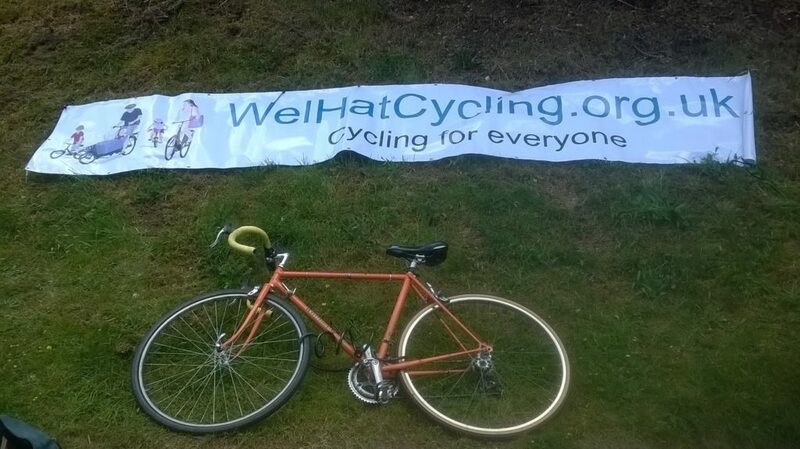 One local cyclist added their orange bike to our banner which we’d pinned out on the embankment above our stall. A nice advert.